Last week, I had the amazing opportunity to be invited to Sabor Restaurant's (previously known as Sabor Divino) second annual seafood fest. I had been looking forward to trying out the seafood at Sabor since since Sabor's Pork Fest when I realized we had just missed the seafood festival. Co-owner Christian Mena started off this year's seafood festival by thanking everyone for attending and inviting everyone to enjoy dinner "family style" as we were all part of the family! We were all seated in long family style communal tables which added to the atmosphere and feeling of us all being part of one family! We started off with some warm and cold tapas of Bacalhau (salt cod cakes), Sardine Pate Crostinis, Piri Piri Prawns and a bite of Wild Artic Char Tartar with avocado and pimento aioli. 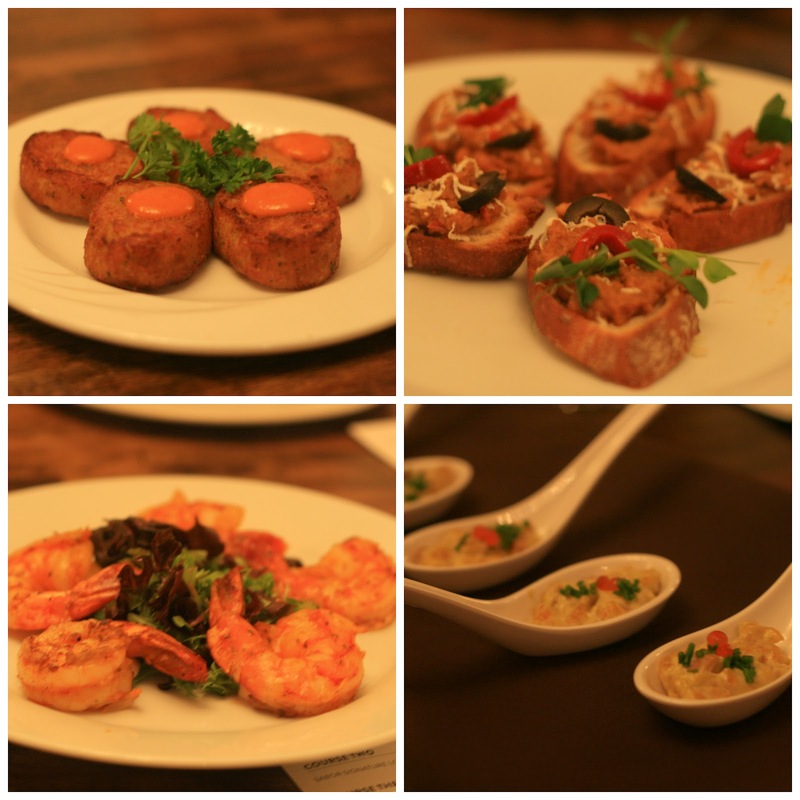 These first four tapas were all quite tasty, however, I really enjoyed the flavour in the piri piri prawns while Dan enjoyed the artic char. The presentation of the artic char tartar was unique as it was designed to be eaten in one bite so all the flavours would come together inside your mouth. The olives! The olives at Sabor are very unique. Certainly olives are not for everyone but I must admit that over the years my palate has changed towards enjoying certain types of olives. 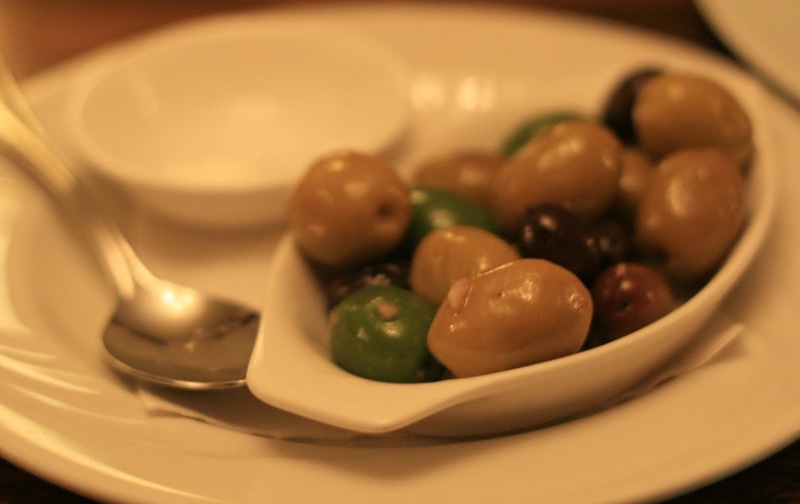 Pictured above are a selection of olives that Sabor serves at the start of their meals (in previous dining experiences you can request them at the beginning of your meal). The bright green olive was surprisingly my favourite out of all of them as it had a light mellow flavour and mouth feel and was not as heavy on the palate compared to the darker Calamata olive. The next family style dish that we had was the Bay Scallops with a Cauliflower Puree. Oh my! These scallops were amazing. Each scallop had a gorgeous soft texture and was perfectly grilled. 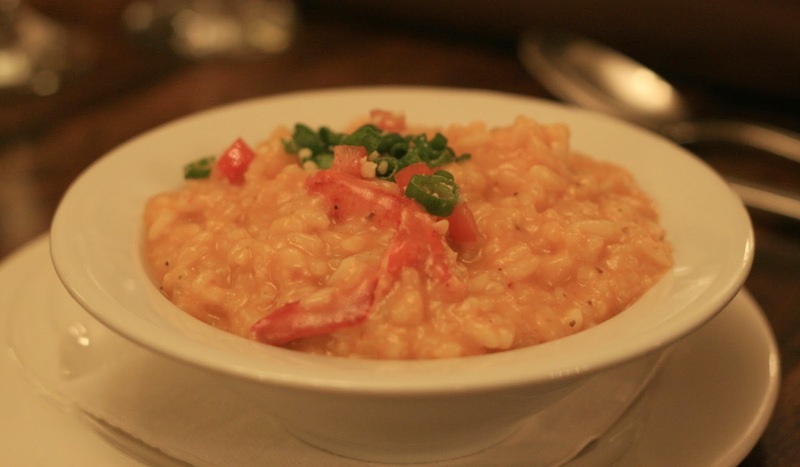 The cauliflower puree was also very well done and flavourful. 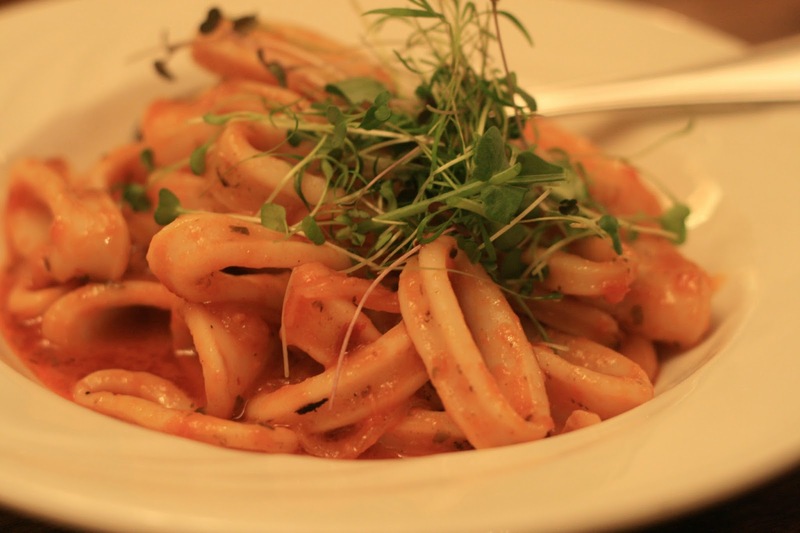 The Grilled Calamari with lemon and spicy tomato arrived shortly after with a small heap of micro greens on top. 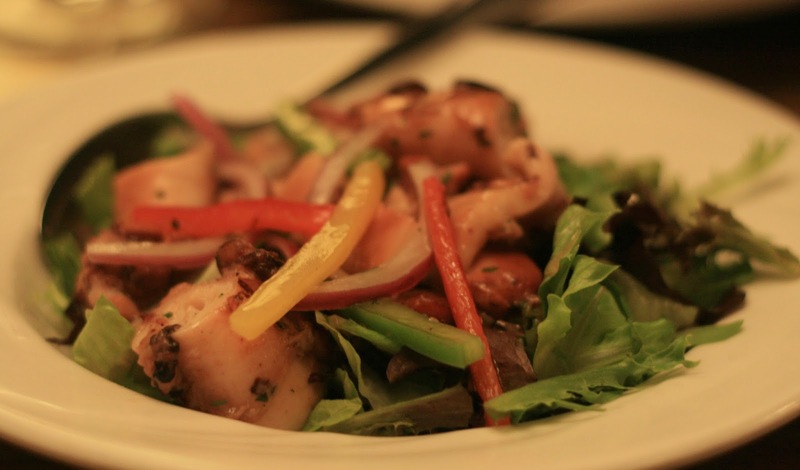 If you love calamari, then this dish would be for you! The tomato sauce wasn't as spicy as you would initially think as it was balanced nicely with the lemon. Each calamari ring was soft and not too chewy. Dan really loved the Octopus Salad as it had generous chunks of tender (non-rubbery) grilled octopus amidst the greens, red onions and peppers. Midway through the meal, Chef Lino Oliveira (also known as the Rebel Chef) came out to talk to all the guests and go into a bit more detail about the reasons behind the seafood fest and menu. 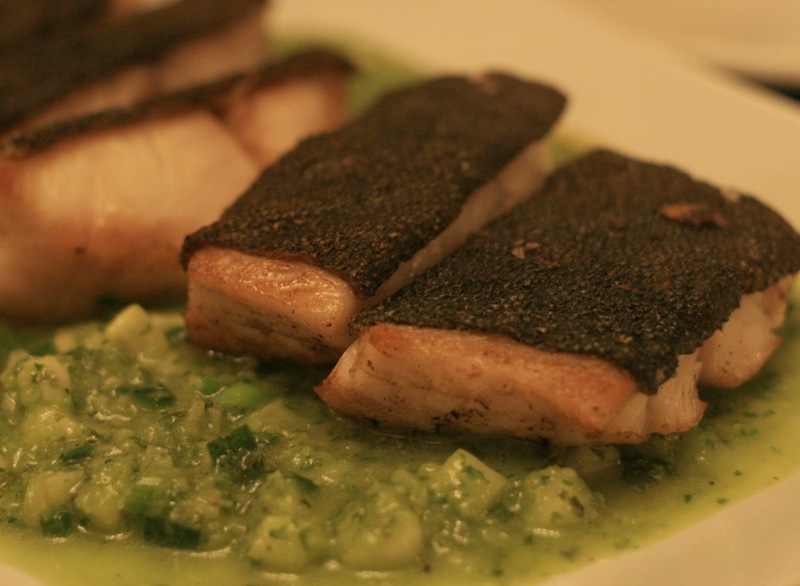 Both Chef Oliveira & Christian Mena then announced that Sabor is now officially 100% Oceanwise certified! 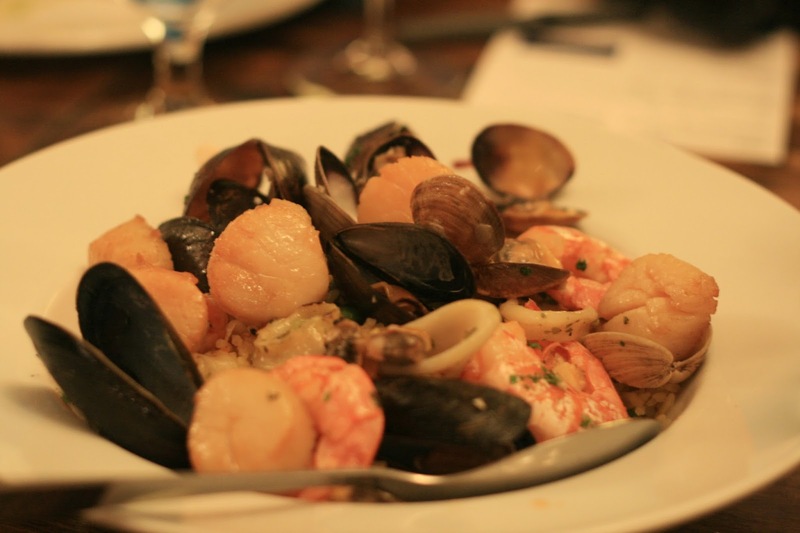 With that news in mind, we all thoroughly enjoyed the next three seafood dishes of the Lobster Risotto, the Pan-Roasted Sablefish with cucumber green onion salsa and a very well packed Seafood Paella filled with mussels, scallops, clams and shrimp! 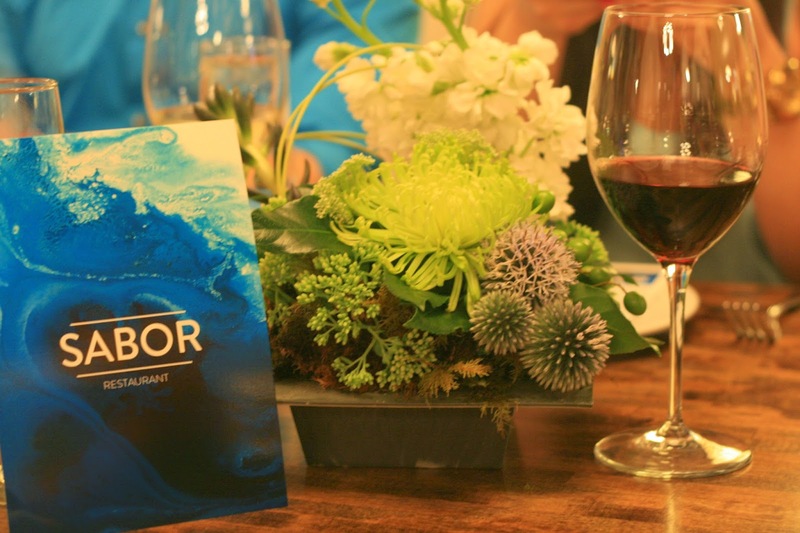 In all honestly, everyone had an amazing time at Sabor's second annual seafood fest enjoying each other's company, the food and the tasty Vina Chocalan Chardonnay and Vina Chocalan Carmenere that continually flowed from the bottles to our wine glasses. 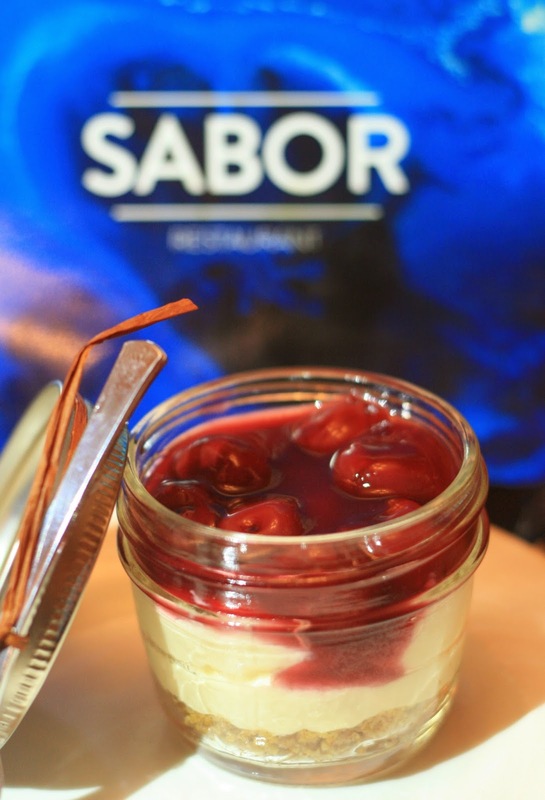 Sabor even made their dessert easy to take home as it was a Cherry Port Cheesecake in a cute mason jar! 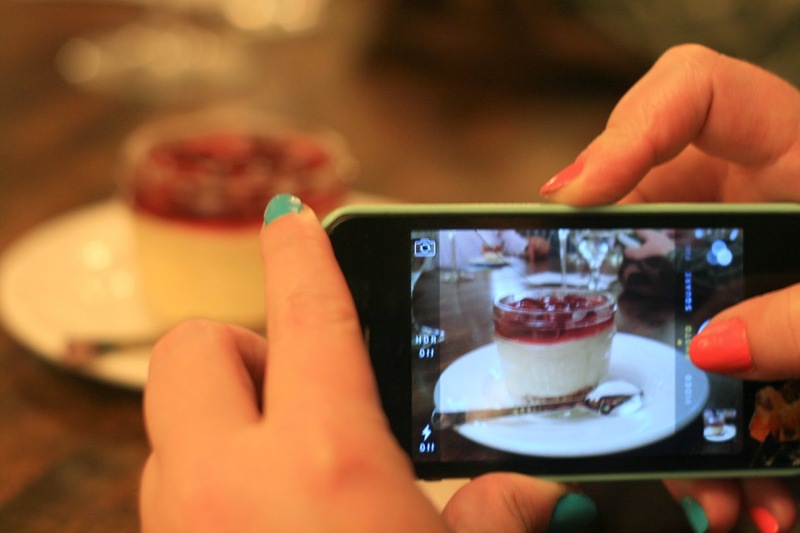 If you want to taste any of the above delicious plates please go dine during Sabor's Seafood Fest that is running until September 14, 2014 in Edmonton! They are now 100% Oceanwise certified so that is even better.